Heung-Min Son should have had a penalty in Tottenham's win over Leicester instead of being booked for simulation, says Dermot Gallagher, as he returns with the latest round of Ref Watch. There was plenty for the former Premier League referee to get stuck into, with penalties, bookings and offsides on the agenda as well as some interesting moments from one official. INCIDENT: Early in the game, Heung-Min Son went over in the area after being tackled by Harry Maguire. 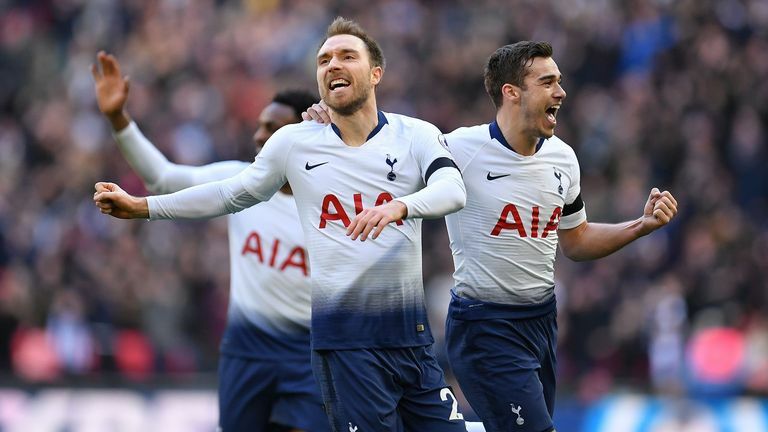 The Tottenham forward was booked for simulation rather than being awarded a penalty. DERMOT SAYS: I thought it was a penalty - it's certainly not simulation, is it? There is so much contact that even if you say that he initiated it, it would be very difficult. I think the expected decision there for everyone was a penalty. Later on, it would be easy to justify. When James Maddison was given a penalty, for me, you either give both as penalties or both not and that's where the imbalance was for me. 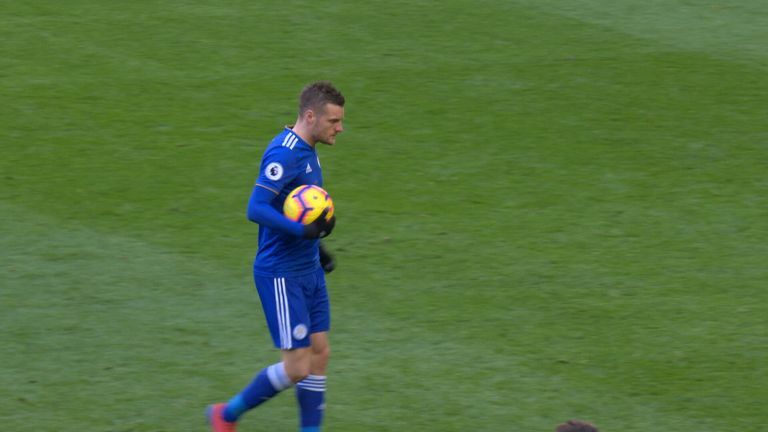 INCIDENT: In the 60th minute, Leicester were awarded a penalty as Maddison was tripped by Jan Vertonghen in the area. Claude Puel then made a substitution, bringing on Jamie Vardy, who took the spot-kick with his first touch but had it saved by Hugo Lloris. DERMOT'S VERDICT: Should have been treated the same as the Tottenham penalty. DERMOT SAYS: For me, they're either both penalties or they're both not. If you watch both of them together, the first one is more of a foul in my eyes than that one. I'm not saying it's not a foul, what I am saying is that they are both the same. INCIDENT: Mike Dean was in the spotlight twice on Sunday, although neither were for his refereeing decisions. 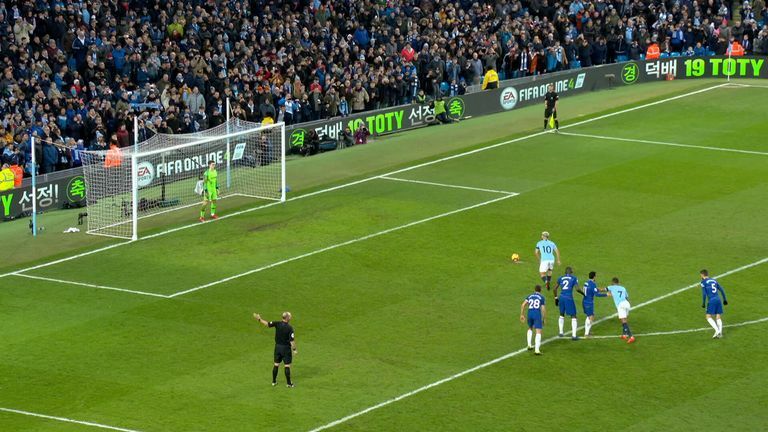 The first was an over-exuberant awarding of Man City's penalty before hiding Sergio Aguero's hat-trick ball up his shirt before handing it over to the striker. DERMOT'S VERDICT: No problem with his behaviour. DERMOT SAYS: That's how he is. If you meet him, he's a really nice guy, he's very flamboyant and that's his nature, he's done it all his life so people know that. It's going back to his ballroom dancing days when he had all the moves and he's clearly still got them. With the match ball at the end, you can see with Aguero that the way he reacted was so funny. It was just a great bit of fun between a player and a referee and it shows that there isn't this massive void between us. 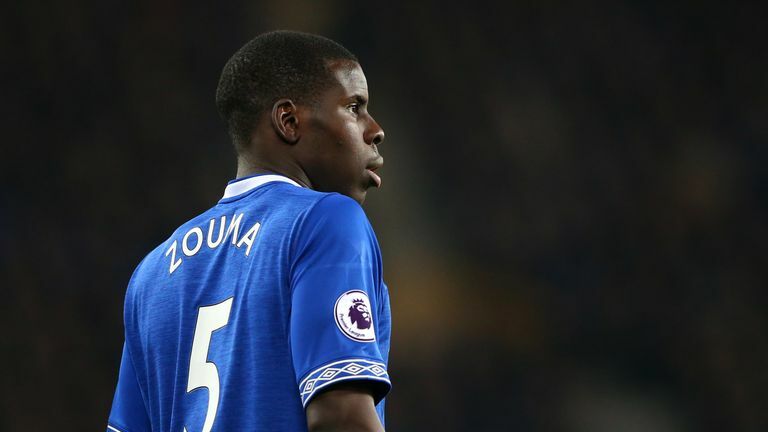 INCIDENT: Kurt Zouma was sent off by referee Lee Probert at full-time after receiving two yellow cards. The first was not caught on camera, but after viciously remonstrating with the officials after the final whistle, he was shown a second yellow and then a red. DERMOT SAYS: You can see the distance he has come to get to the referee, he's obviously said something that Lee [Probert] doesn't appreciate, he's come back and compounded the matter and he gets two yellow cards. He's obviously said something to the referee that has upset him and when he has come over, he's come from distance. As he has gone away, he has said it again so he has second yellow carded and then red carded him. INCIDENT: Just after the 70-minute mark, there were appeals for a Brighton penalty after Jeff Hendrick appeared to handle the ball in the area, but nothing was given by referee Stuart Attwell. 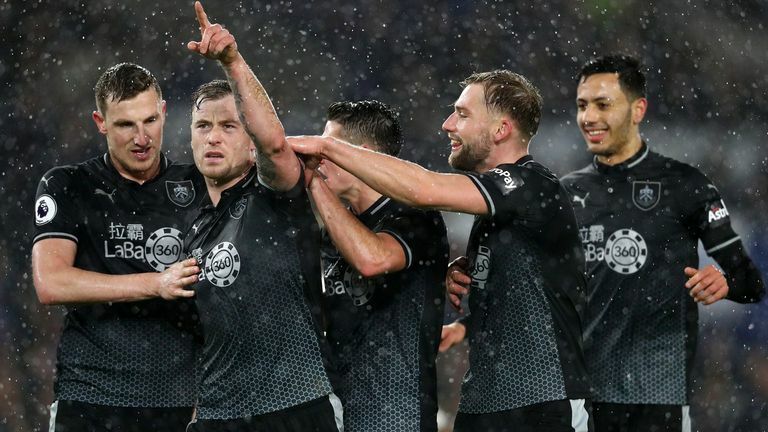 Burnley then broke down the field with Brighton goalkeeper Mat Ryan swiping at the legs of Ashley Barnes, which the referee gave as a penalty. DERMOT'S VERDICT: Unfortunate for the referee and Brighton. DERMOT SAYS: It was a definitely a handball and it isn't spotted because Hendrick turns into the referee. The arm is on the left-hand side, Stuart is behind him and as he turns in, he doesn't see the arm come around that makes it handball. Then what happens is the worst scenario for the referee. Burnley break - and it was a brilliant decision by the linesman not to give offside against Barnes, by the way - who is taken down, Wood shoots wide and then the move comes back for a penalty. It's just unfortunate. Using the player reaction is a reasonable barometer, but it isn't gospel. INCIDENT: Just before the end of the second half, Jon Nolan clattered into a tackle on Max Aarons, leading to a melee between the players. 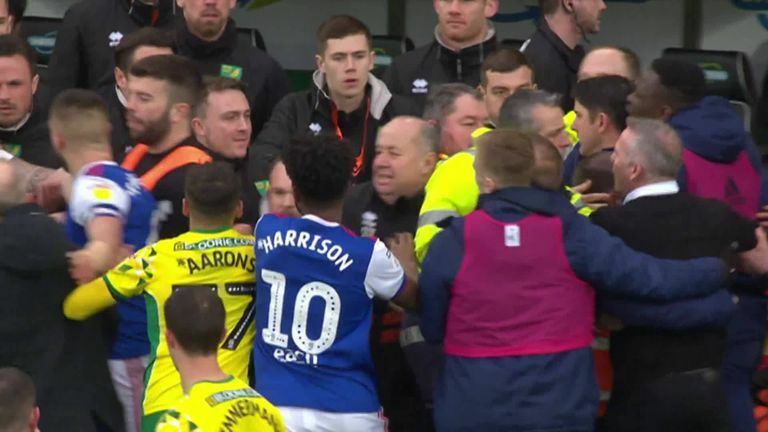 This then spilled over onto the touchline as Ipswich manager Paul Lambert shared cross words with Norwich's head of performance Chris Domogalla with the staff, stewards and police pulling them apart. The two were then sent off, with Lambert heading to the stands. DERMOT'S VERDICT: Referee did his best. DERMOT SAYS: There is so much going on. You've got to hope your fourth official watches what happens and you pick out what you can and ask the FA to watch it afterwards and pick out what you may have missed because without doubt, there are going to be other things you don't see there. I've never come across police getting involved in England.